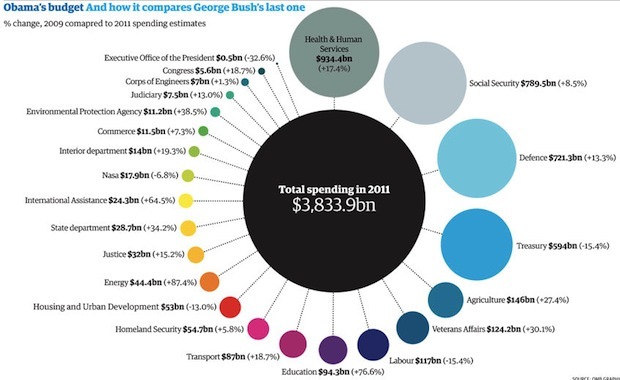 Yesterday President Obama released his proposed budget for 2011, and the newspapers naturally sniffed out the massive infographic possibility. Here are the offers from The New York Times, The Guardian, and The Wall Street Journal. 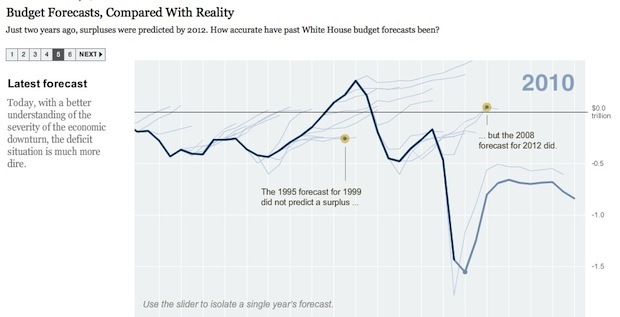 The Wall Street Journal is still struggling to get its act together on infographics. The Journal‘s take on the budget illustrates as much with a couple of incomprehensible or borderline meaningless offerings. 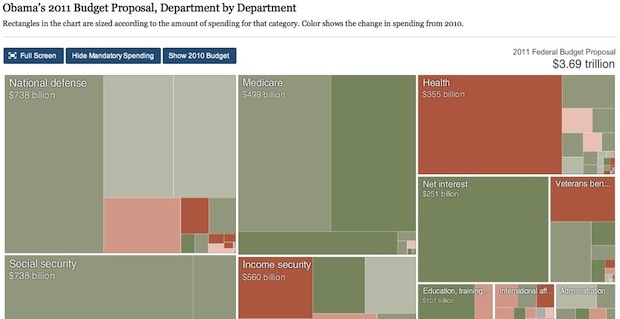 But one worthwhile graphic shows what will happen to both defense and Medicare spending. Medicare is, of course, on a rocket-ride to insolvency if costs aren’t reigned in–and Medicare is actually a larger portion of government spending than defense. Of course, remember that this is a requested budget–the actually figures will surely change as congressional deal-making begins in earnest.